Are you on the search for Karate in Keller TX but you still haven’t found what you’re looking for? Maybe you’d like to start training at a dojo that can give you the right exercises you need to get stronger. Perhaps you’re having discipline problems and you want to experience the benefits of martial arts so you can remedy these issues. Whatever your problem is, know that Tiger-Rock Martial Arts is a place you can count on. Our methods have been around for a while, and we think we have what it takes to help you get better. 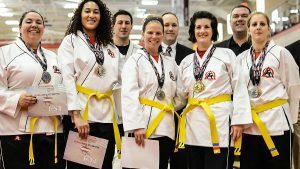 Ever since our founding in 1983, we have helped our students learn the ins and outs of karate and Korean Taekwondo. Today, we have grown our business into what has become the most well-known and popular martial arts franchise in North America. If you’re trying to better yourself and you want a group with a stellar reputation, TRMA is the place for you. Our certified instructors are ready to help you through your obstacles. If you’re looking for karate classes, you might be motivated by your lack of physical fitness. Are you currently unable to physically perform in the way you want to? Perhaps you’re not keeping up with your friends when playing sports at the local park. Maybe you’re just tired of being winded after going up and down your apartment’s staircase. Whatever the case might be, know that Tiger-Rock can help you develop your skills and get better. The drills we put our students through is absolutely perfect for experiencing a complete and effective full-body exercise. You may be someone who is lacking the strength, speed, and stamina you’re desiring. If you’d like to improve all of these and more, you will benefit from joining TRMA. By training here on a regular basis, you will be able to strengthen your body while mastering the form that you’ll need to perfect these movements. Korean Taekwondo is a great way for the typical Texan to exercise, but it’s a lot more than strikes and kicks. Are you looking for an outlet that will help you get the mental fortitude you need to get better in life? Maybe you’re trying to make sure you’re able to stop the mental lapses that have been happening at school or work. These are very common conundrums that people go through, but you can count on our dojo to be the place you’re looking for. Everybody goes through cognitive difficulties, but taking advantage of Karate in Keller TX can help you get better. Taekwondo is something that really tests your mind, and it will give you the discipline, focus, and confidence you need to succeed in life. If you’re someone who frequently loses focus during daily life, you’ll want to train your brain to get better and retain its sharpness. Make this happen by committing yourself to TRMA; our instructors have what it takes to guide you towards mental mastery. We want all of our students to give it their all, and our instructors demand maximum effort on a regular basis. There are no shortcuts in our dojo, and you will have to give it your best shot if you want to reap the benefits. While this might not always be the easiest thing to do, you can count on it to help you get better. Many of our students and pupils report an increase in discipline, positive self-talk, and confidence after training in our Keller TX dojo. If these are improvements you’d like to experience, contact us and we’ll help you develop a plan. We have developed a healthy atmosphere that allows our students to thrive. 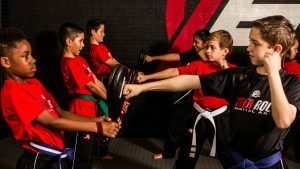 Our staff has years of experience in training both children and adults, and we want you to be comfortable in our dojo. Challenging yourself on a regular basis is very important, and you’ll need to do this consistently if you want to succeed in life. However, we also want you to enjoy this journey and make the most out of each and every moment. You can expect a positive social environment if you sign up at Tiger-Rock; plus, you can train at any one of our nationwide dojos! 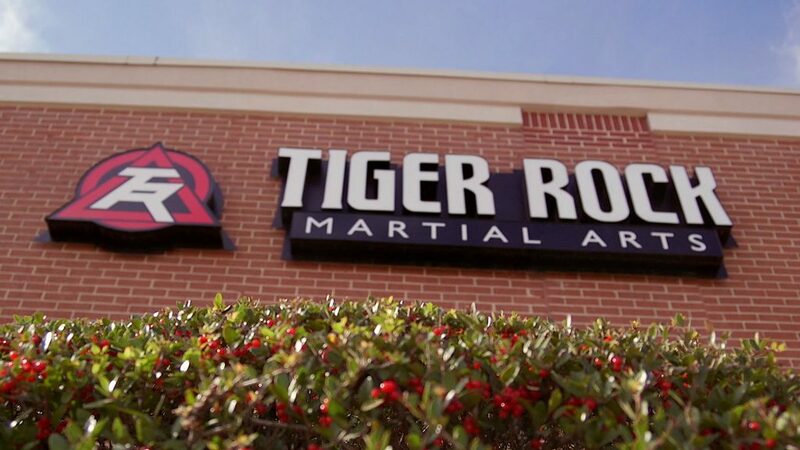 Contact Tiger-Rock for details on our Keller TX karate dojo! Are you someone who relishes each and every opportunity to compete? At Tiger-Rock, we believe that healthy competition is very conducive to the betterment of people. Because of this belief, we want all of our students to experience this, which is why we have developed yearly tournaments. These are the state, regional, and nationwide opportunities that will give you the chance to spar against other students. We pair you with a similarly skilled pupil, and together, you will sharpen each other and help one another to develop their skills and martial arts mastery. Contact our dojo for more details on the dates of these events as well as instructions on signing up. Finding Karate in Keller TX doesn’t have to be as extensive and tough as some people make it out to be. If you’re beginning to feel like you don’t have what it takes to get through and break the chains of complacency and self-doubt, we have the resources you need. Tiger-Rock Martial Arts is ready to make your life better, and we want you to develop the skills you’ll need to succeed. For more information on what we have to offer you, contact our dojo today. We’ll provide you with details and inside info on our classes. Keller, Texas is a great place to live. Because it is a part of the Tarrant County, you will be able to access the Dallas-Fort Worth area with ease on a regular basis. Even though you probably want to have the benefits of large city living, you’ll still love Keller. We have access to the big city along with small-city living arrangements. If this sounds like you, Keller is a great place to be. Our town continues to improve and grow due to people just like you. The affordable real estate and job opportunities make this is a very desirable community. Our settlement was first started in the 1850s, and nearly a hundred years later, it became an official incorporation. Because of our many improvements, you can count on Keller to provide you with a great living experience.